This is a one-year course/programme leading to diplomas in Beauty Therapy of international recognition. Successful learners have the opportunity to progress on to Advanced Beauty Therapy Level 6. Entry Requirements Applicants should have successfully completed a Leaving Certificate/LCVA or equivalent course. A minimum pass grade in Biology or Home Economics (Social and Scientific) is desirable. 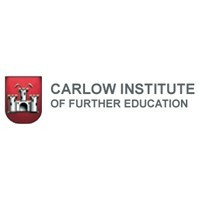 For information about Carlow Institute of Further Education, please visit our Training Provider page on Whichcollege.ie by clicking here.